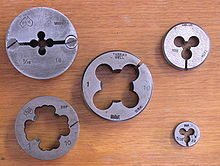 A die is used to cut the male portion of the mating pair (e.g., a screw). 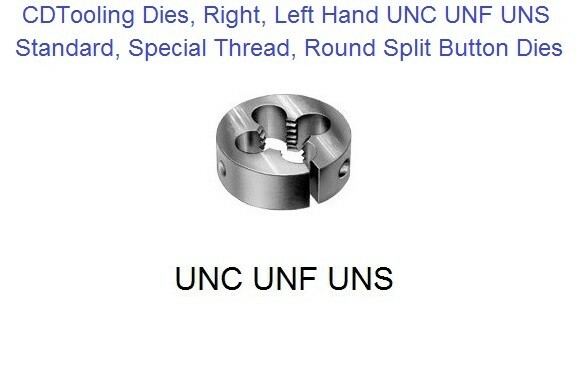 The process of cutting threads using a tap is called tapping, whereas the process using a die is called threading. 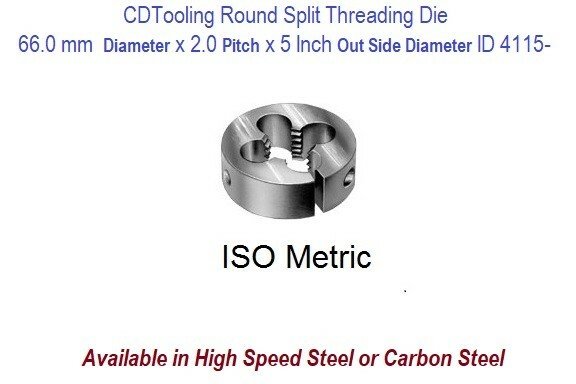 Both tools can be used to clean up a thread, which is called chasing. 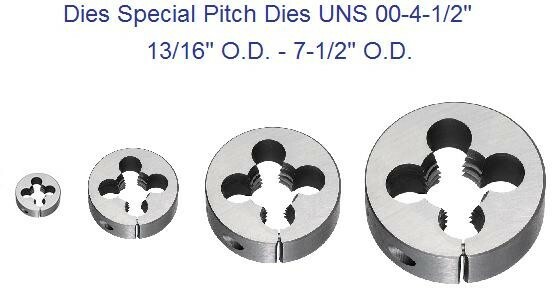 Dies: Die Stock for Round Dies 13/16"- 3"
The adjusting screws allow the die to be compressed or expanded to accommodate slight variations in size, due to material, manufacture, or die sharpness. 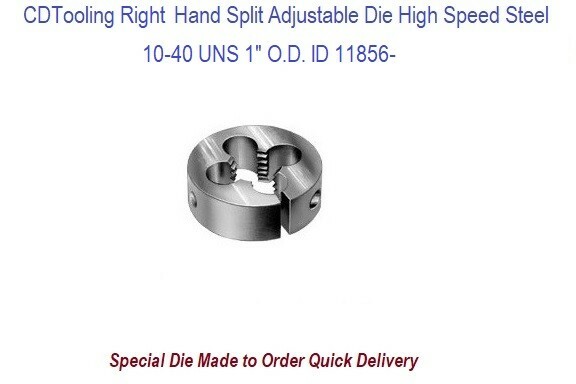 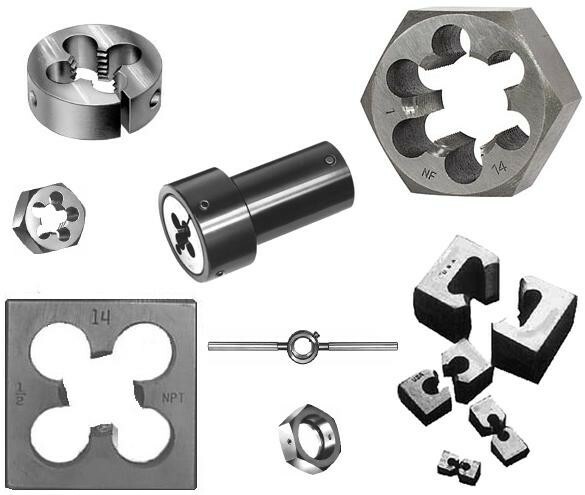 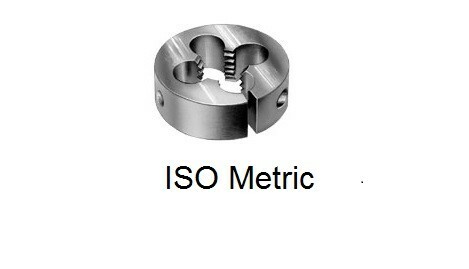 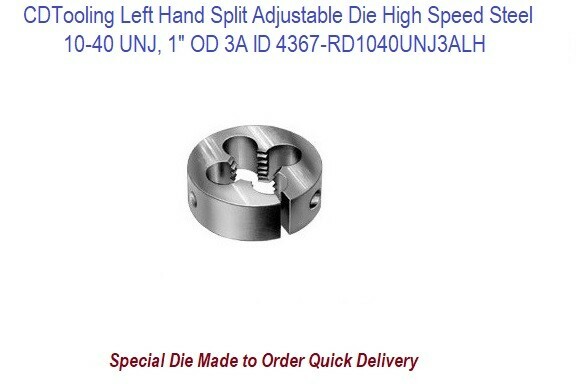 Each tool is used independently, but are usually sold in paired sets of both types, one die and three taps. 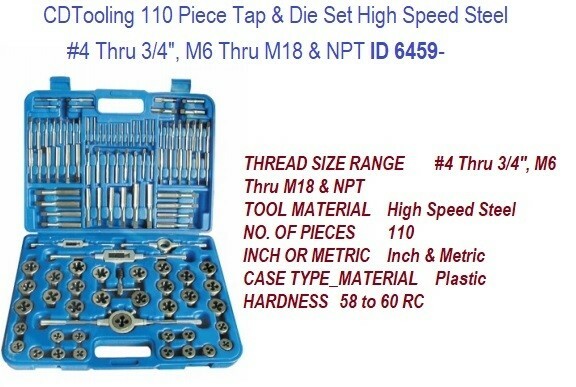 Some sets may provide a lesser number of taps. 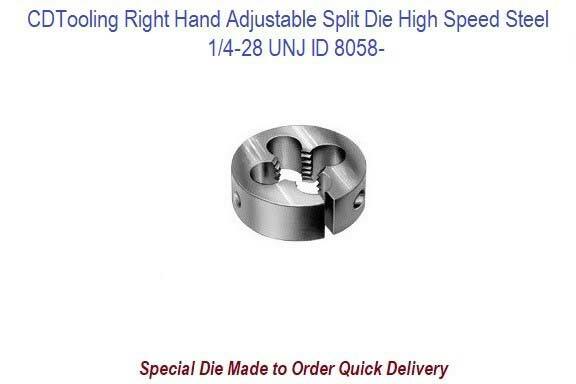 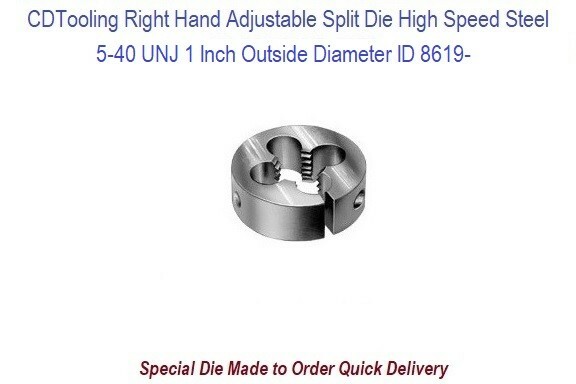 The common sets shown are designed for hand operation, but different types such as helical or spiral may be used in production tools such as CNC machining tools, which employ die heads to make large volumes of threaded parts.